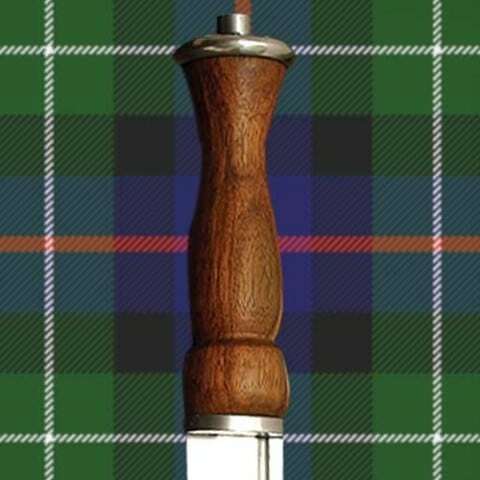 A must have item for the highlander. The first step toward the ornate Scottish Dirk as we know today. Early dirk that evolved from the kidney dagger. 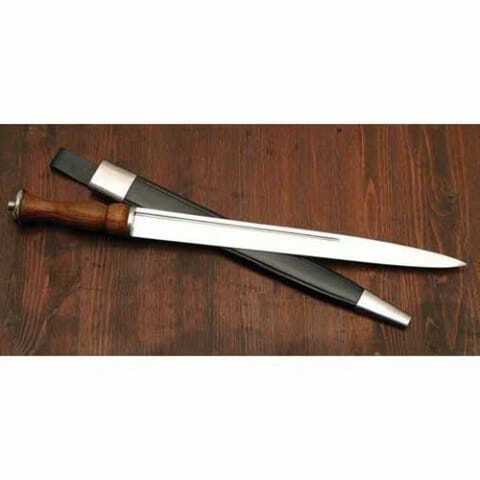 Long 36cm x 2cm blade is well tempered and flexible. 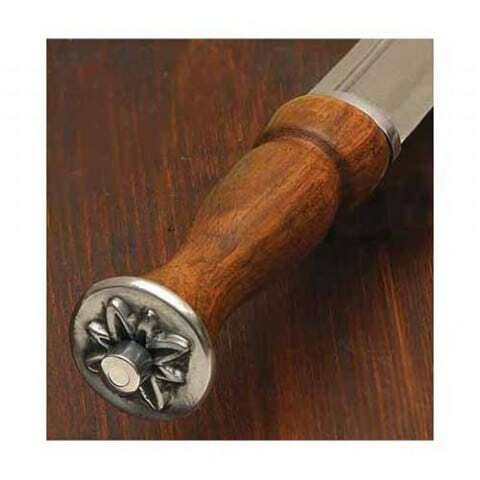 Solid hardwood grip and steel parts. Overall length 50cm. Weight 0.2kg. Can be factory sharpened for an additional $15.